Today is Mr. Nuthall Day! Last year I started the tradition of celebrating my favorite teacher, Mr. Nuthall. He was my high school English and History teacher. However, he was much more than that. He was a mentor, a family friend, a source of inspiration, and someone who supported me at every turn I made. Two years ago today, he passed away after a sudden heart attack. He left behind a wonderful family and a legacy that still holds strong...his Facebook page is proof of this! Earlier this week I reminded my kids they would be celebrating and they showed up today with Hawaiian leis. This was in honor of a tradition Mr. Nuthall started when I was a senior in high school. To battle a gloomy year at our school, he hosted Senior Luau Day and we showed up with food and Hawaiian shirts. The tradition held strong throughout the rest of his time at my high school, when he retired just a few short months before he passed away. This year, I have fallen in love with my job in a way that I can't describe. A month ago when I was reading my students' memoirs, I remembered the memoirs I wrote in Mr. Nuthall's class. I searched through some boxes and found my collection of memoirs, written by my classmates and I over 10 years ago, and sat down to read. You see, Mr. Nuthall was the kind of teacher that made you want to keep your work for the rest of your life. There is something to be said about reading your writing after you have lived life for a bit. 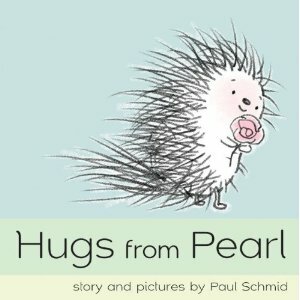 I actually shared some of the memoirs with my students. As I was reading my students' final drafts I thought, man, I wish I could email these to Mr. Nuthall. I read The Heart and the Bottle. Today we read Mr. Nuthall's favorite, Owl Moon by Jane Yolen. I had a student read it and she was amazing. Her tone matched perfectly with the silent journey the young girl goes on with her father. 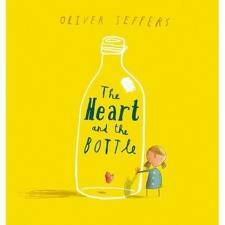 I also read The Heart and the Bottle by Oliver Jeffers. Mr. Nuthall never read this one but I know he would love it. 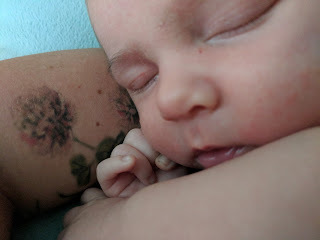 I reviewed it here so you can see why it was perfect. So, cheers to you, Jack Nuthall! Thanks for looking out for me every day!